The Upanishadic philosophy reveal the heights to which our awareness and knowledge can grow given the right circumstances and correct discipline. Apart from a few core concepts, the Upanishads do not present a coherent and consistent philosophy, dogma or theory which, together with their symbolic vagueness, make their interpretation rather subjective, difficult and uncertain. Hence various schools of Hindu philosophy present them according to their own tenets. 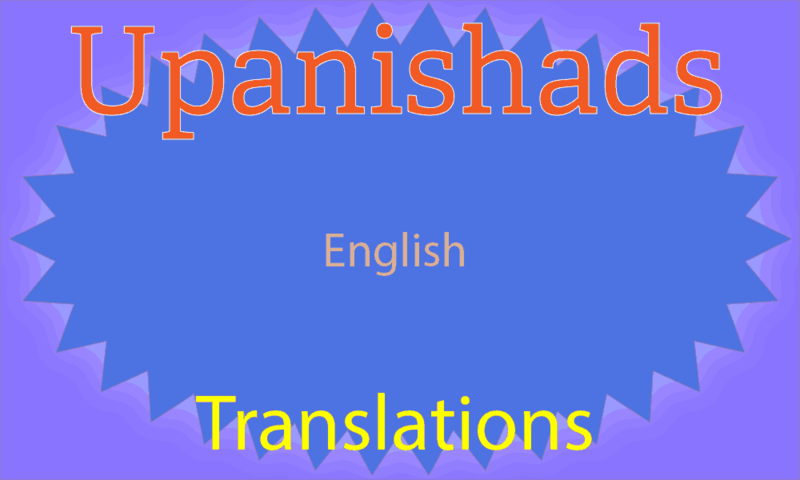 Presented here are translations of both the major and minor Upanishads. A study of these Upanishads will help you understand their philosophy and significance in the development of Hindu spiritual thought.